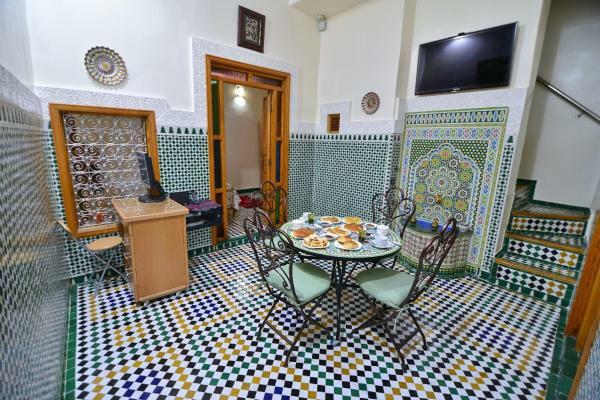 Featuring free Wi-Fi, Riad Chat Noir offers accommodation in Fès, 800 metres from Quran School. Among the various facilities are a terrace and a shared lounge. The property is situated an 11-minute walk from Open Air Tannery (Fes). Set in Fès, Dar El Arfaoui provides accommodation with free Wi-Fi, within a 4-minute walk of Open Air Tannery (Fes). La Casa Espanola, situada en Fez, admite mascotas y ofrece conexión Wi-Fi gratuita en todas sus zonas. También hay un restaurante. Featuring free Wi-Fi throughout the property, Dar Jomaziat offers pet-friendly accommodation in Fès, 1.7 km from Royal Palace Fes. Private parking is available on site. Located in Fès, Fes-Boulmane region, Riad Au " 20 jasmins & Spa " is set an 8-minute walk from Open Air Tannery (Fes). The property is close to several well-known attractions, 600 metres from Quran School, 1.1 km from Viewpoint and 1.1 km from Army Museum. The accommodation provides airport transfers, while a bicycle rental service is also available. Set in Fès, 200 metres from Quran School, Dar Hidaya offers air-conditioned accommodation with free Wi-Fi. Popular points of interest nearby include Army Museum and Open Air Tannery (Fes). The property is a 14-minute walk from Open air tannery (Fes). Offering city views, Résidence senhaji is an accommodation located in Fès, 1.7 km from Acima Essaada Fes and 2.6 km from Quran School. Guests staying at this apartment have access to a fully equipped kitchen. Omar house is set in Fès, a 5-minute walk from Open Air Tannery (Fes), and has a terrace, a shared lounge and a restaurant. Around 400 metres from Quran School, the property is also 600 metres away from Army Museum and offers free Wi-Fi. Guests can enjoy mountain views. Featuring free Wi-Fi and barbecue facilities, Maison d'hôtes LA FERME offers accommodation in Fès, 10 km from Acima Essaada Fes. All rooms boast a TV with satellite channels and a private bathroom. Viewpoint is 14 km away. 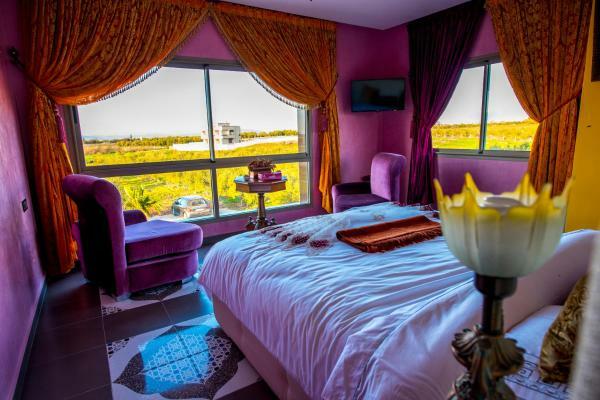 Set in Fès, a 5-minute walk from Open Air Tannery (Fes), the guest house features views of the city. All rooms feature a kitchenette and a private bathroom. Quran School is 900 metres from the guest house. Dar Ikram is offering accommodation in Fès Medina. Free Wi-Fi is included. Located in Fès, a 3-minute walk from Open Air Tannery (Fes), La Cheminée Bleue Fes features a terrace and rooms with free Wi-Fi access. 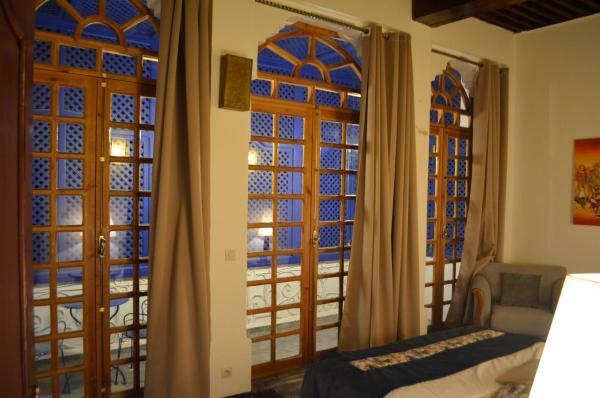 Conveniently set in the Fes El Bali district, this riad is set a 7-minute walk from Open air tannery (Fes). The property is 700 metres from Quran School. 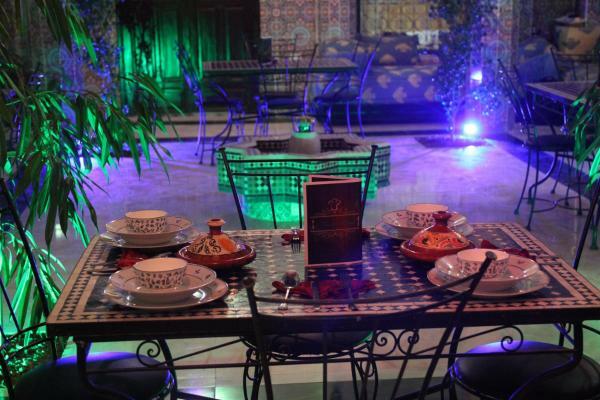 Featuring a terrace, shared lounge, on-site dining and free Wi-Fi, Dar Zerbtana is situated in Fès, 300 metres from Quran School. Popular points of interest around the property include Open Air Tannery (Fes) and Army Museum. The accommodation features airport transfers, while a car rental service is also available. 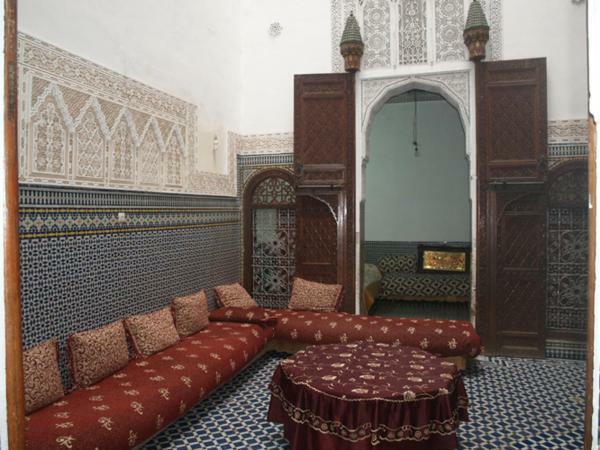 Located in Fès, Riad Dar Jnane features accommodation an 8-minute walk from Open Air Tannery (Fes). Complimentary Wi-Fi is available. Boasting a terrace and a shared lounge, Dar Gerniz is set in Fès, a 3-minute walk from Open Air Tannery (Fes). Located around 700 metres from Quran School, the riad with free Wi-Fi is also a 9-minute walk away from Open air tannery (Fes). Army Museum is 900 metres away.